When a technical wunderkind and classically trained pianist join forces, musical harmony isattained. That was the case for La’Reda’s Brion Charles and Nathan Barbour at least, whose vision for a sound that would unite heavy bass and euphoric vocals in melodic anthems came to fruition in the Los Angeles underground. Intent on proving that “forward” is more than a namesake, the visionaries have blazed on in their quest for the perfect marriage of these elements since their inception in 2010. 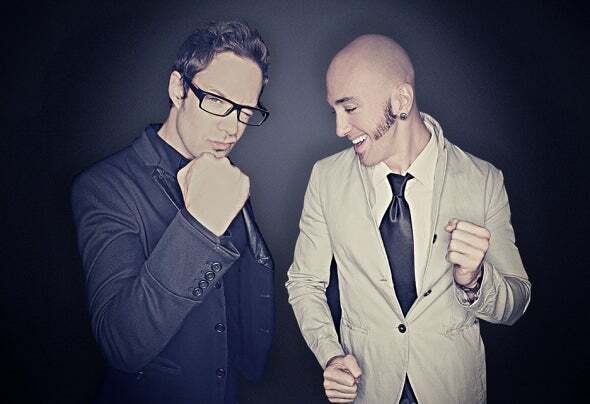 Now recognized for their stand out work on Interscope, CherryTree, BlackHole, Rub-a-Duck and Holy Bangers, the pair has put their own unique stamp on remixes from artists as varied as PitBull, Kendrick Lamar, Natalia Kills, Sir Sly, Robin Thicke, and Seven Lions.